As a building owner, it’s your job to keep your property clean and up-to-date. But when the exterior begins to wear down, you’re left with an important decision—who to hire for commercial exterior painting. In Westchester County, NY, property owners look to C.E.T. Painting for unparalleled results. Free Estimate: Before you begin a commercial exterior painting job, it’s important to set a budget and stick to it. 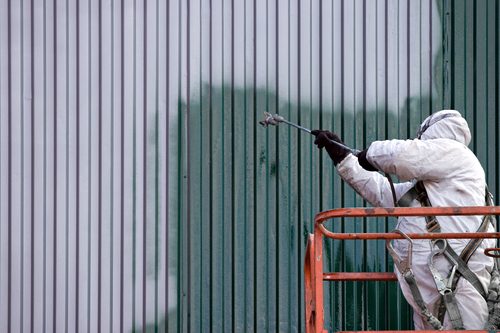 Commercial painting jobs can rack up a hefty tab, especially if the building you own is large. That’s why C.E.T. Painting offers free estimates for all painting jobs, so you have an idea of what you’ll pay before signing a contract. This will allow you to gauge whether you can afford the service and help you plan for your financial future. Quality Workmanship: A poor painting job can be detrimental to the success of a business—after all, first impressions count. By working with the highly trained commercial painting team at C.E.T. Painting, you can enjoy peace of mind knowing the task will be handled with meticulous care. Free Color Consultation: Unsure of what color to paint your building? The team at C.E.T. Painting offers free color consultations to help clients choose between a few different swatches. Their professional contractors know which colors will enhance your facade and those that will take away from the architecture. Choosing the wrong color on a massive commercial building can be detrimental to your company, so don’t hesitate to ask questions and learn from their insightful painters. If you’re considering commercial exterior painting, let C.E.T. Painting lead the way. Since 2004, this skilled group has taken on a wide range of projects, from interior and exterior painting to deck staining and pressure washing. No matter what you need to get your building in top shape, you can trust them to handle it. For more help, visit them online or call today at (914) 615-1415.